A New Homestead is settling in just off Clubhouse Road - near to the life of Balsam Mountain Preserve. Soon, there'll be a homestead conceived as the perfect high mountain retreat. Here will be a home cooled by the mountain breezes of 3,800 feet, warmed by ample morning sun and brightened in the light of dazzling sunsets. 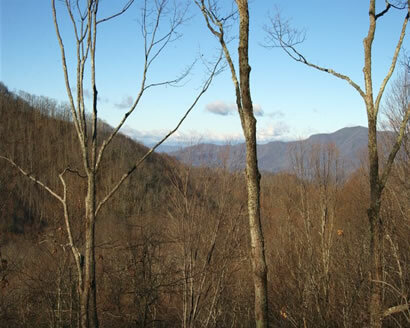 If you're seeking an ideal Balsam Mountain home, here is a worthy candidate. It's thoughtfully positioned well above the pristine golf valley looking down on the 13th hole. You'll find every detail attended to in its living space of 2,600 sq. ft. (heated) and 4,700 sq. ft. (covered). All rooms are on one level with great views. This could be your home for vacations, for entertaining guest - even your permanent home for living life to the fullest within a mountain park. Entire house to be trimmed out and painted with all plumbing fixtures, door hardware, light fixtures, Bathroom fixtures and mirrors installed per budget allowances.